What is the "good" Paul talks about in Romans 8:28 (we are on page 26 of Beautifully Broken)? The good, which Paul says serves a purpose even through suffering, is the conforming of our hearts & minds, our character, into the likeness of Christ Jesus. Verses 28 & 29 tell us that God works through our weaknesses, our struggles, our trials, to mold us & shape us into an Imager of Christ. Suffering stinks. Life's detours take us off guard. We can doubt & struggle with God's goodness when these things happen. We might even think we're being forgotten or foresaken. But God's goodness is not dependent on our doubt & confusion. He is good because He is God. And His divine detours are a call to action on our part. 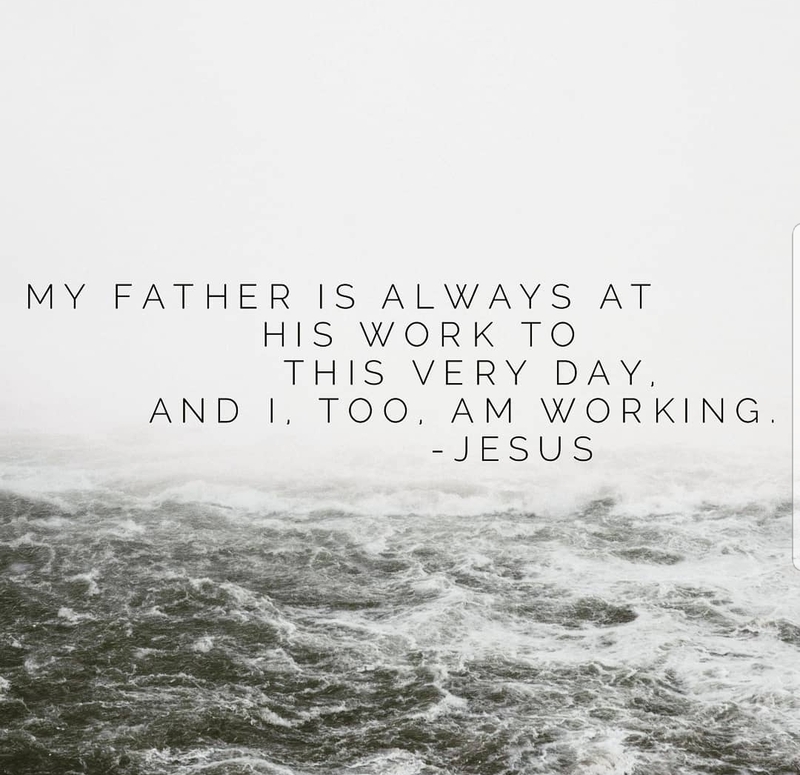 Jesus said himself that God is always at work. God is great at taking a situation & flipping it upside down to give you a new perspective. Greater good comes out of our circumstances that don't seem to be good at first, if we allow it. If you are still hanging with me in Beautifully Broken, we are wrapping up a week full of expressed emotions. Pain, suffering, despair, anxiety, depression, hopelessness. Job exemplified them all. Like Job, we want to make sense of senselessness. God created us with wisdom & intelligence. We want to understand why things are. 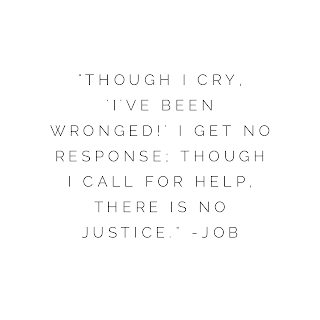 Yet Job's suffering is a poignant reminder that we will face trials & never know the reasons or the why's. 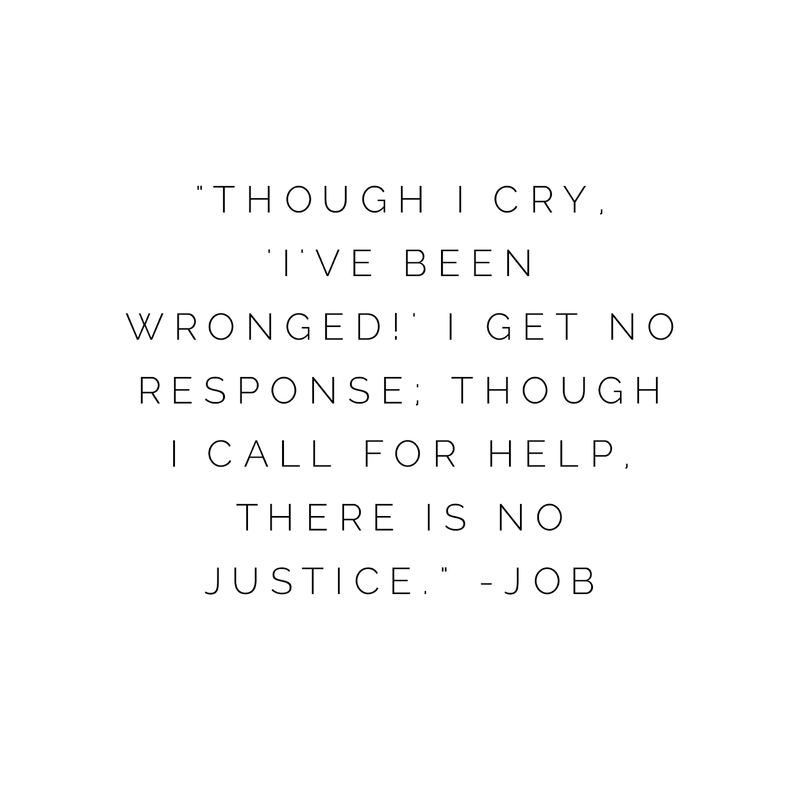 Job never gets the answers he seeks & because of that, he gets the answer he needs. Week One Day Five of Beautifully Broken. Bad things happen for no reason. It's sinful to get angry with God. God can, but I don't believe he will. All of these complaints come directly from Job. 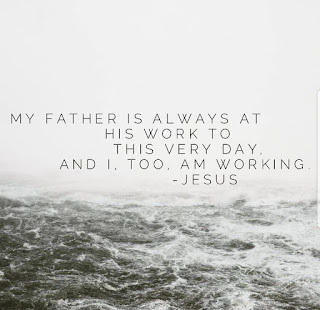 Job never denies God's existence & sovereignty. Job just wants to understand & all of his questions are logical because Job can't see the whole picture. 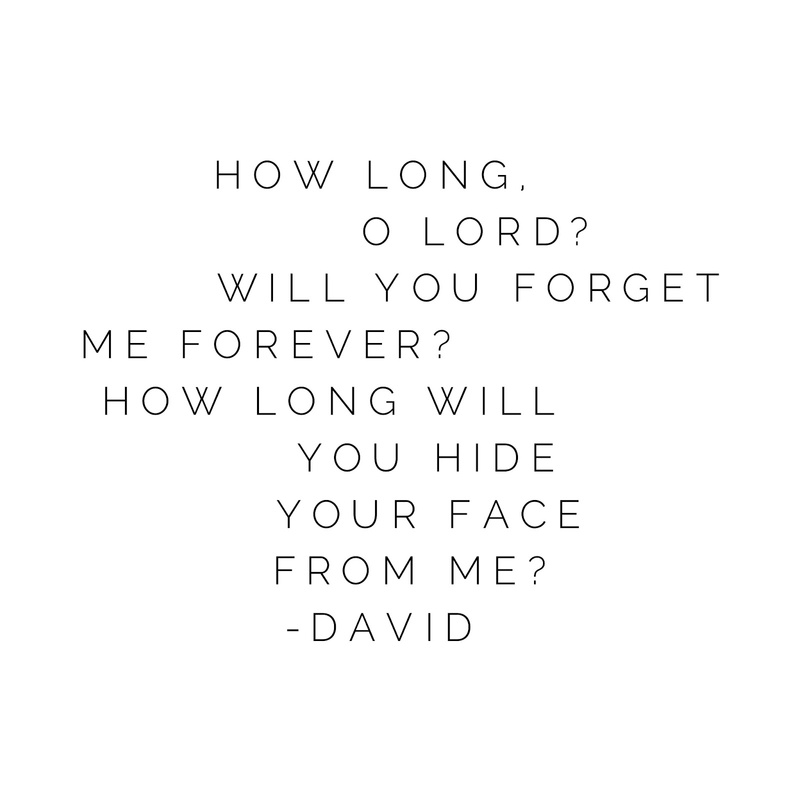 The same can be said for David. 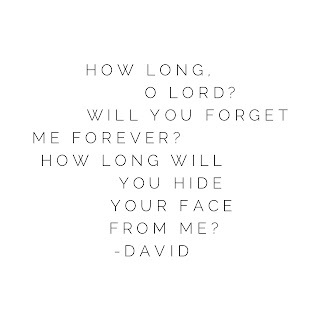 Psalm 13 has David questioning where God is, why God is absent from him, while he wrestles with his thoughts & sorrow. We know that some circumstances will never make sense this side of Heaven. We won't get the answers we seek. But what if not getting an answer is what we need? What if the non-sense is a redirection? What if it's the way you needed all along to be able to look back & see God's guiding staff on the path? Job railed at God wanting an explanation. How could such horrible things happen to a godly man? How could God let it all happen? Those were Job's heartfelt, anguished pleas. Job was angry. And God answered Job with His own bevy of questions. And Job receives what he didn't even know he needed, a renewed focus toward the glory of one day being with Yahweh himself. When we face uncertainty, confusion, & pain, our anger should drive us to seek God's counsel in order to know Him better. God already knows our feelings anyway. "Comparison is the thief of joy." Think that's from the bible? I sure did. 😂 It's quoted so often I thought for sure it was in Proverbs. It's actually a quote from President Roosevelt. Job compares. He's lived a right good life. And for what? Except for the wife, everything is gone. Evil people have it better than he does. Is comparison ever a good thing? Comparing robs you of joy, right? In worldly terms, sure. Stop measuring yourself to others. Avoid the discrepancies. Don't pick apart differences. Stop assuming. But God designed us with the ability to evaluate & correlate for a reason. It's how we learn what is good & bad. Holy versus unholy. Justice versus injustice. 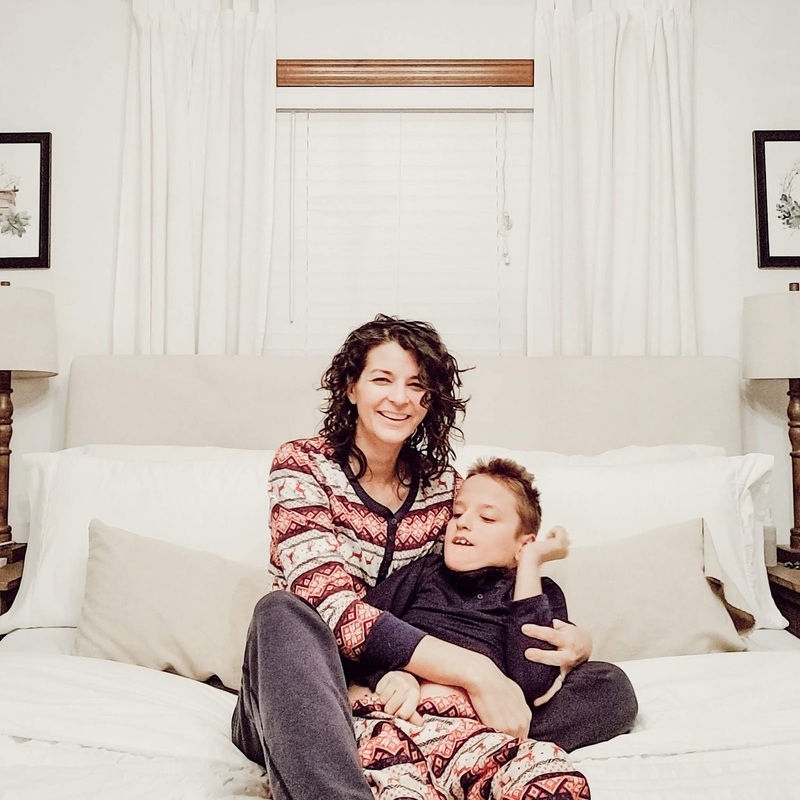 Have you ever compared your child's needs to anothers? It's pretty hard not to. You can set goals, see room for progress, & see potential outcomes. It can be a perfectly positive thing! But when we compare, thanking God that our child isn't as bad off as someone else's, we diminish our own child's spirit & the unique person God created them to be. Then we are improperly comparing. I'm guilty of that. When Liam was little I met so many children with so many challenges & I'd thank God Liam didn't have those. 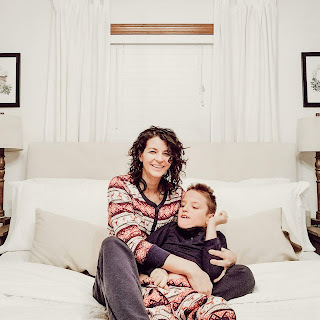 But then as Liam got older, the day came when I felt I was the litmus test for others, who would look at us & be thankful their kids & life weren't as bad off as ours. We get stares everywhere we go. I could just see what people where thinking & I have even had some rude comments. But then I was reminded, ever so gently by our good Father, that Liam is exactly who he is supposed to be & comparing him or our life to others is completely, utterly, selfish. Liam has been wonderfully made. He is unique. Created in God's own image. People's stares & comments are not a reflection of Liam. They are a reflection of their own false comparisons.